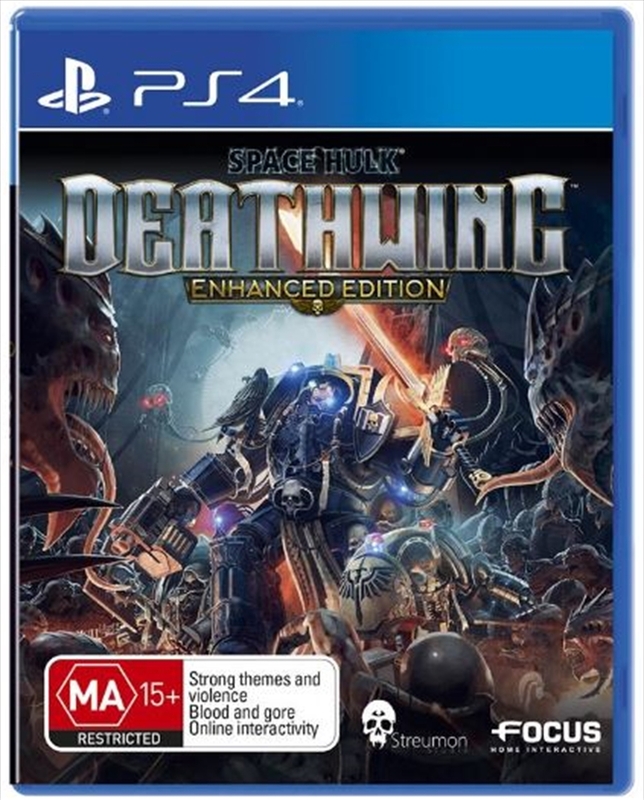 Space Hulk Deathwing Enhanced Edition is a tactical First-Person Shooter based on Games Workshop's cult classic board game set in Warhammer 40,000 universe. Expanding upon the original game, and featuring a host of new content, new features and a richer multiplayer mode, the Enhanced Edition is the ultimate Space Hulk: Deathwing experience for the first time on console. Play as a Terminator of the Deathwing - the feared 1st Company comprised of the elite of the secretive Space Marine Chapter, the Dark Angels - and engage in a desperate battle against Genestealers, within the claustrophobic confines of a Space Hulk. Grow stronger, gaining skills, new abilities, and powerful equipment as you earn experience across perilous missions. The Enhanced Edition brings a host of fresh features to enjoy in both solo and multiplayer: a new class, an expanded arsenal, deadly new enemies and a deep online customisation system.